It was seven years ago that Jim Blaseck, a physical education instructor at Jacobs High School of Algonquin, began the school’s Special Olympics program. Previously, sporting opportunities for students with intellectual disabilities had been limited. The school began by offering basketball and expanded into bowling. The track and field team started two years ago under the direction of Head Coach Steve Allen. 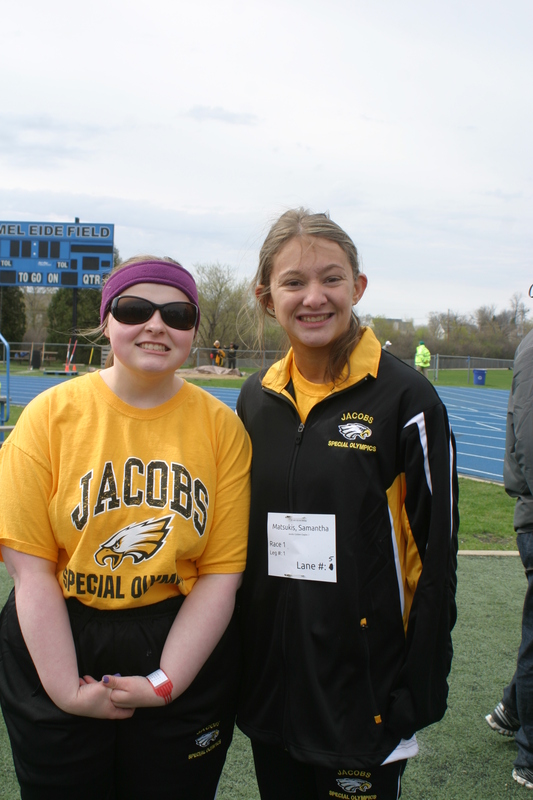 The Jacobs Special Olympics Illinois Team is comprised of 16 athletes, 2 volunteer coaches and a whole lot of parental support. “They root for the athletes at their events, but they also help with communications and fundraising opportunities,” Allen says of the parents’ engagement. The Jacobs High School student body has also been responsive. During last year’s school pep rally, the Jacobs Special Recreation basketball team was invited to scrimmage. 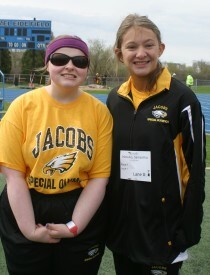 One athlete, Peyton, was invited to work out with both the Jacobs High School football and basketball teams. Peyton brought home a gold medal in the softball throw from this year’s Summer Games. “It has been an exciting and proud experience to see how the track & field team, as well as the basketball and bowling teams, have grown and come together in even more camaraderie over the past couple years,” says Allen. Allen has noticed growth in all of his team members. 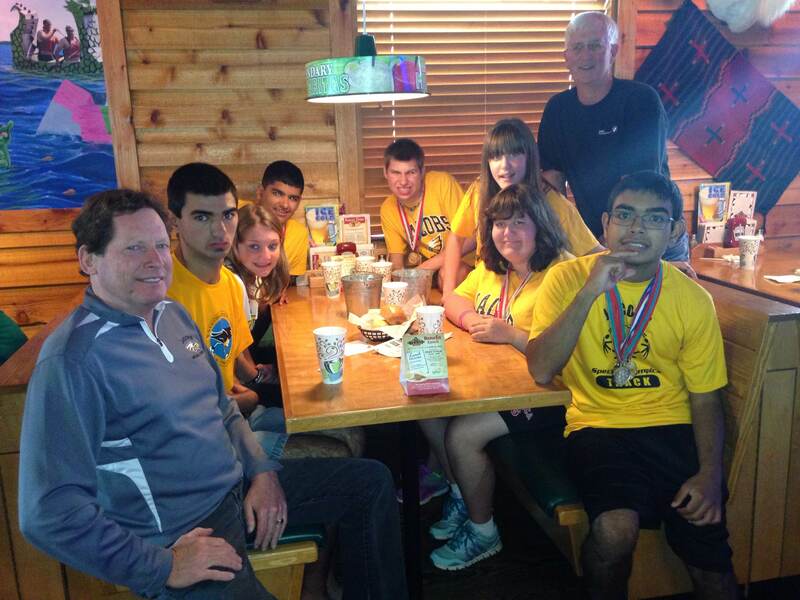 Its first year at Summer Games, the team had seven athletes. This year, the team found success at both the NISRA Cary-Grove Meet and the Special Olympics Illinois Northeastern/Area 13 Spring Games. Thirteen athletes competed in the Summer Games. The team earned a mix of medals and ribbons in Normal and all three 4×100-meter relay teams won gold in their respective divisions. “The team wholeheartedly supports each other, whether in individual events or our three collective 4×100-meter gold medal-winning relay teams – witnessed all season as well as at the State championships this past summer as the team garnered many other medals and awards,” says Allen. Jacobs High School has the largest special education program in District 300. 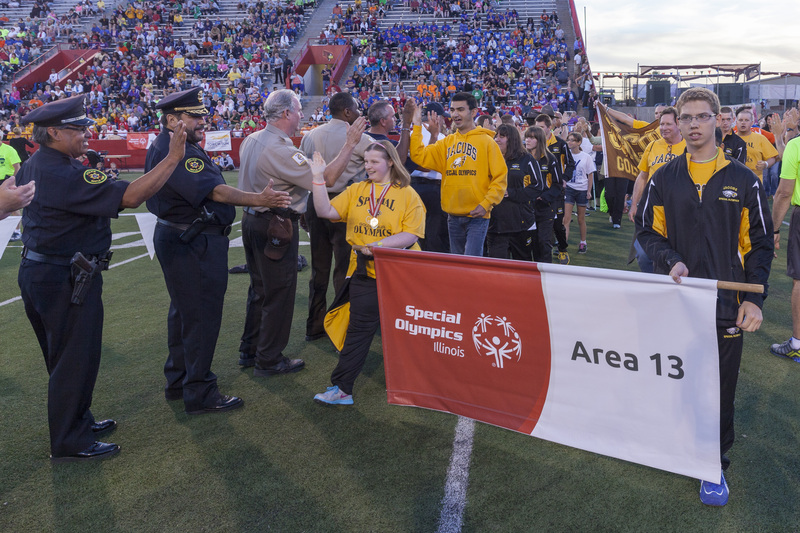 Preliminary talks of expanding the Special Olympics program are underway as they look to expand into the middle schools and other high schools to become a district-wide program. The team is incredibly grateful to all of the families and friends from around Illinois who cheered for them at Summer Games and look forward to another great season!